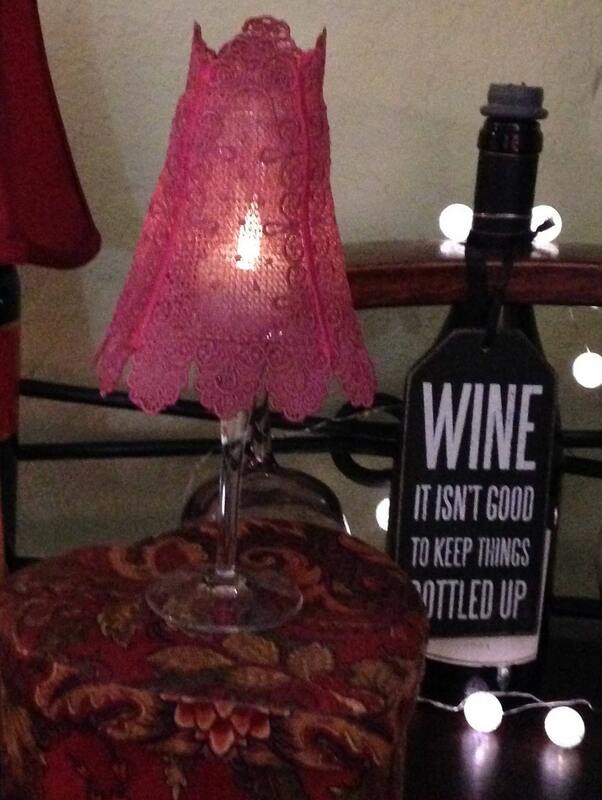 Freestanding Lace Embroidered burgundy and pink wine glass shade used with a tea light in a wine or champagne glass. 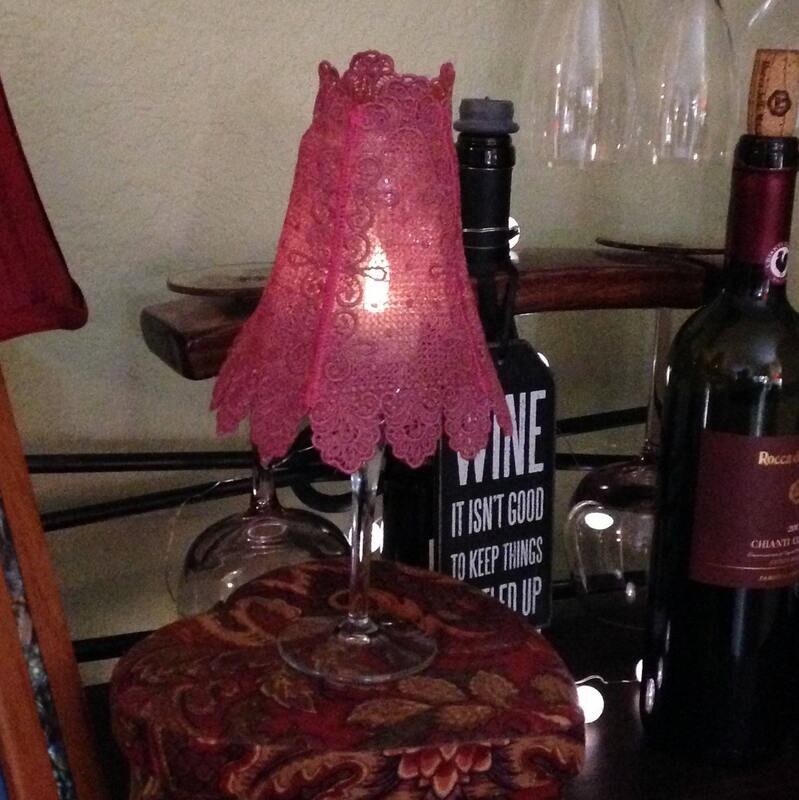 The lovely detailed lace design is stitched in a light wine color and makes a beautiful accent light for any room. 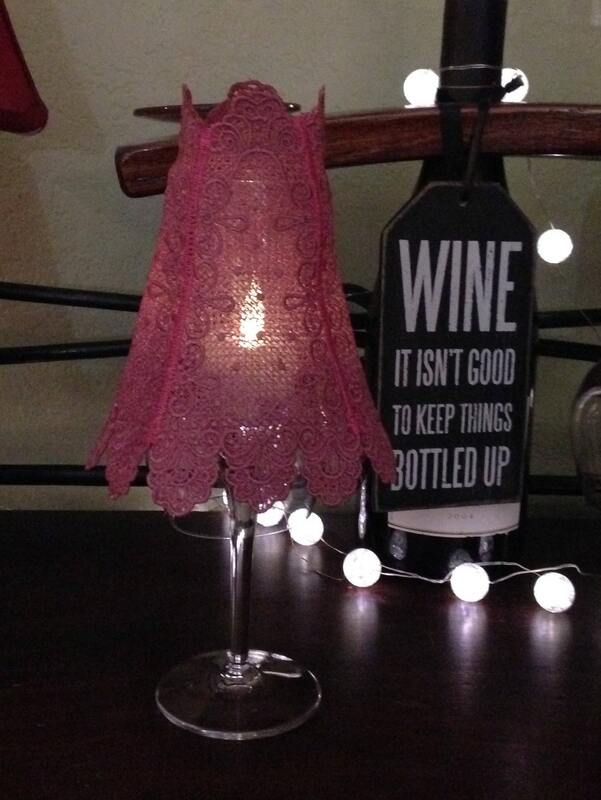 It is perfect for gifting and can be used as table lighting for bridal shower or any party tables. 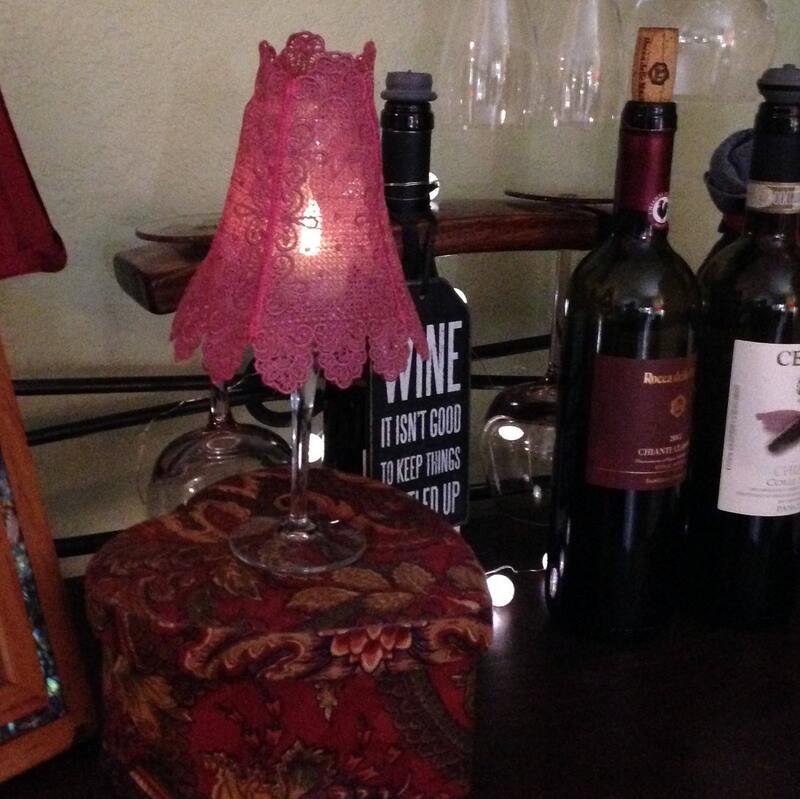 This shade is to be used with battery operated votive or tea light candles. 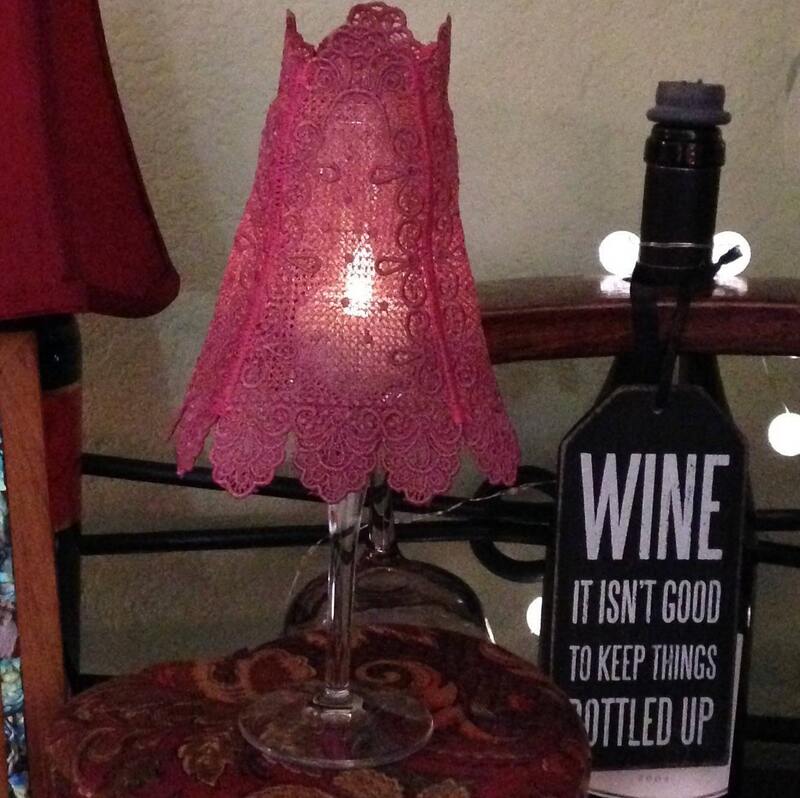 It is perfect for use with the little tea lights that have an automatic timer to add a soft accent to a wine rack display, but it also makes a perfect soft light in guest rooms or bath. 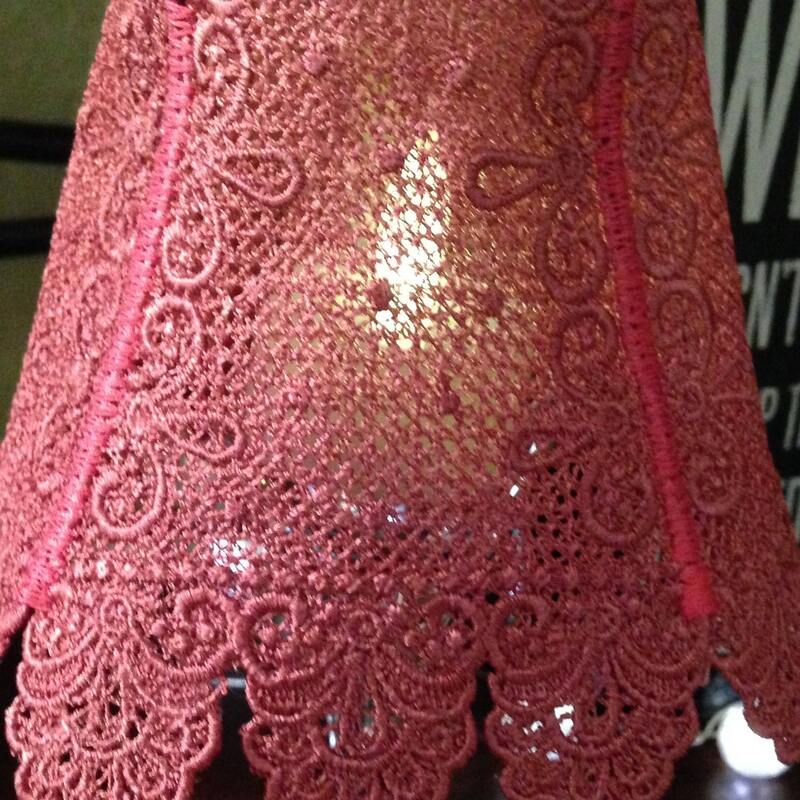 This item is for the lace shade only no tea light nor glass included. 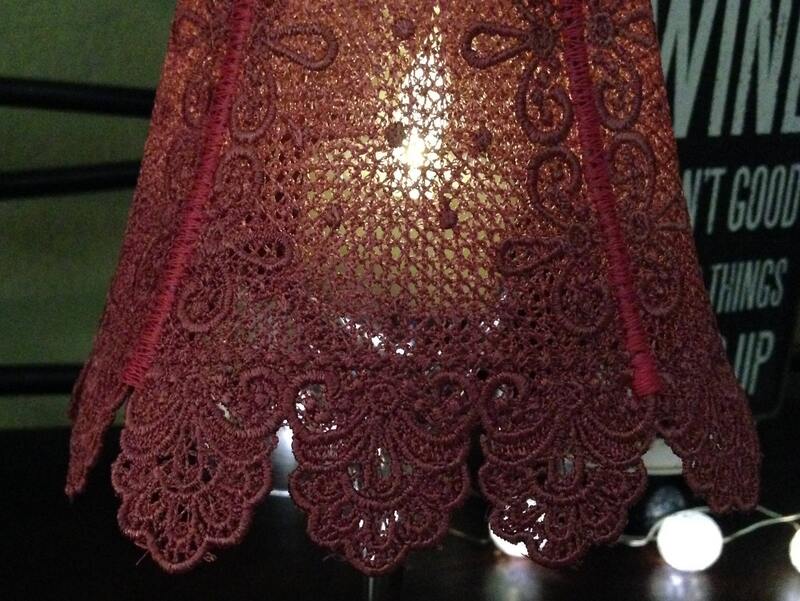 Freestanding Lace, (FSL), is created on an embroidery machine. 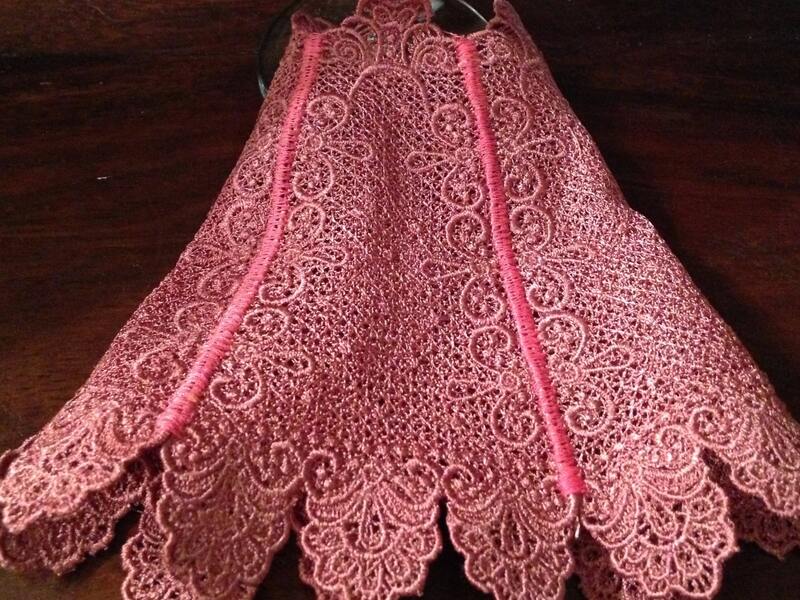 It is a technique that uses interlocking stitches allowing the design to be stitched out on a backing that is washed away leaving just the beautiful design, standing on its own. This design can be ordered in multiples of four or more as a custom product in the color of your choice. 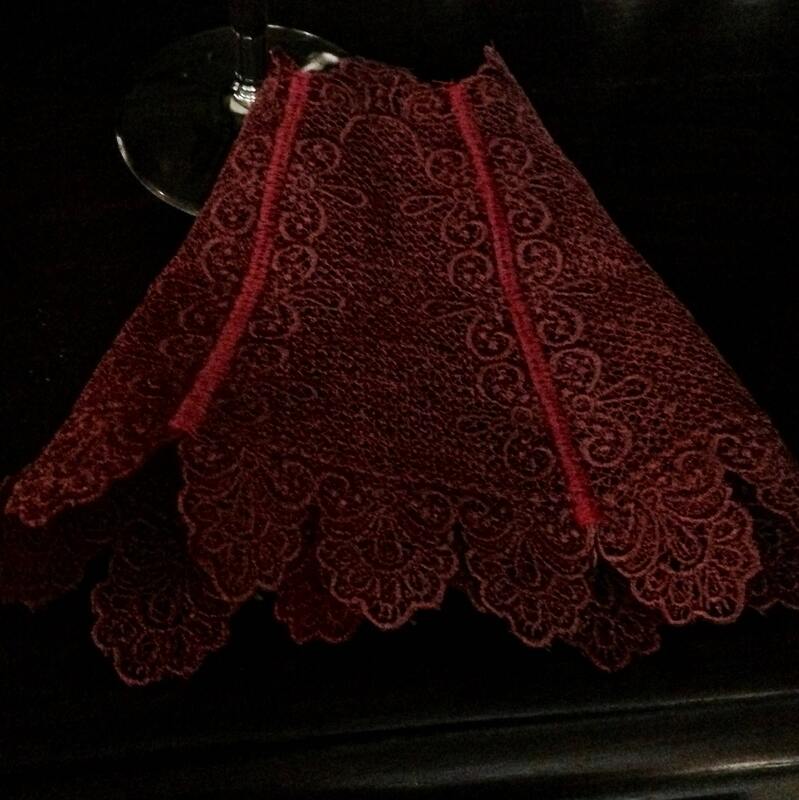 Please message me if you would like to order these for your party tables.